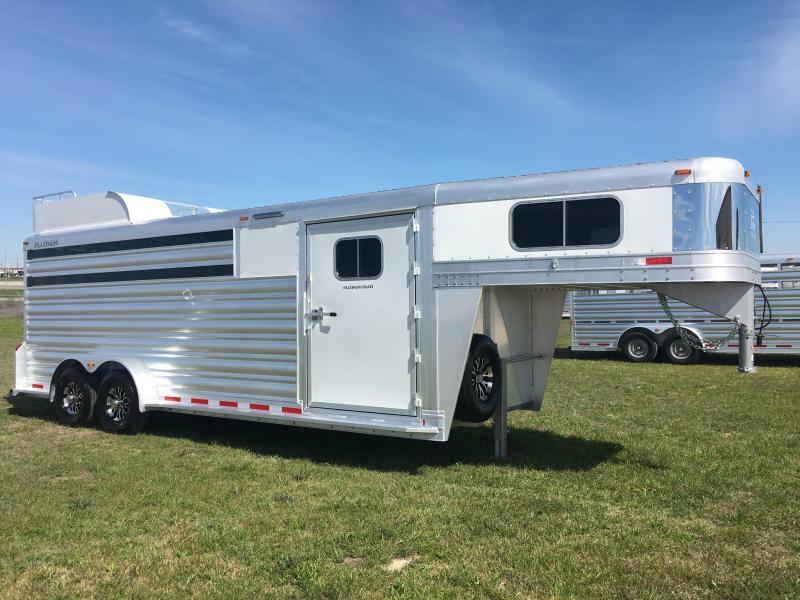 This 24 ft. combo sport is 7 ft. wide and 7 ft. tall, 10-Ply Tires on 16 in. 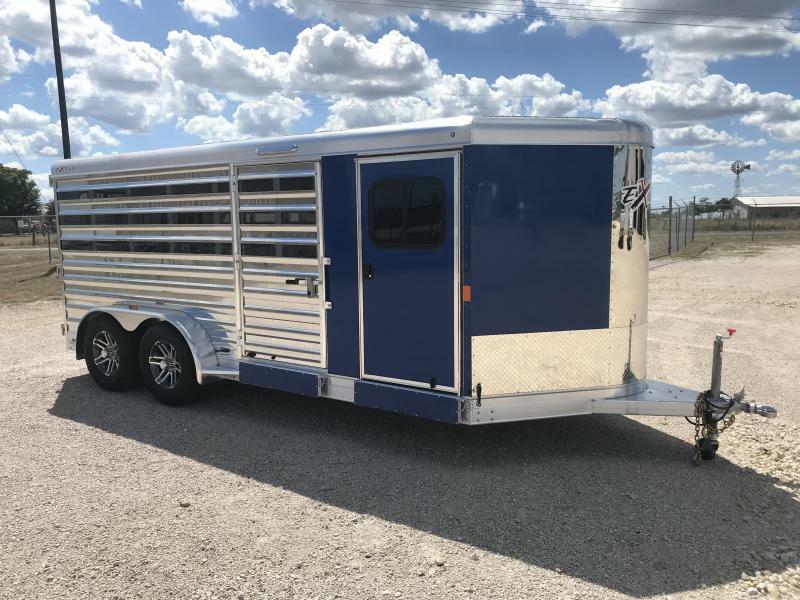 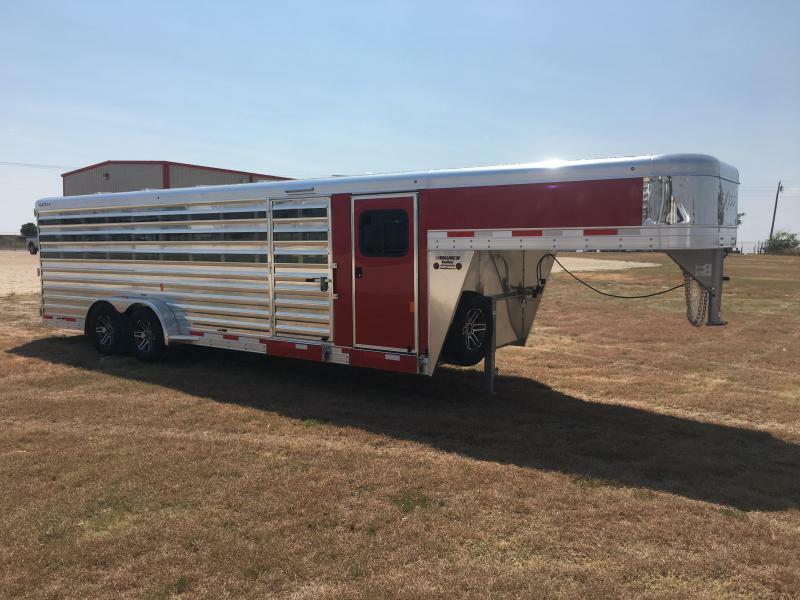 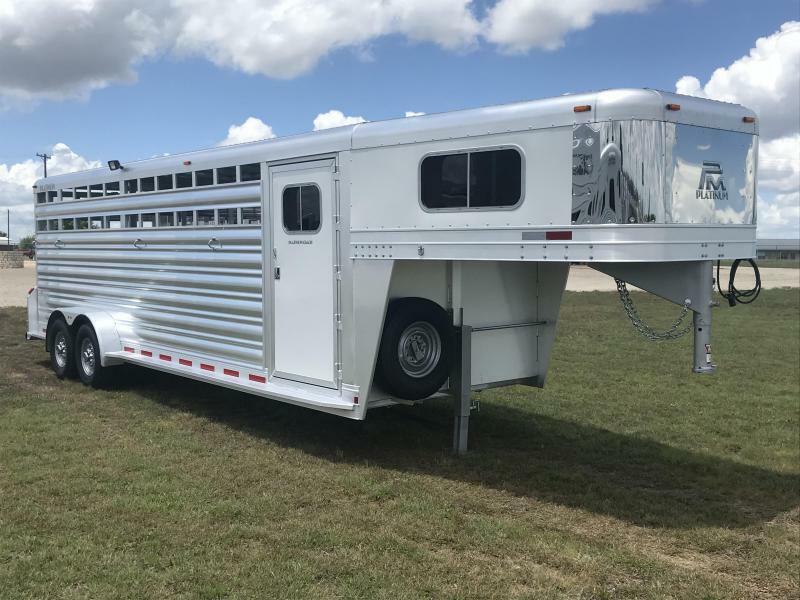 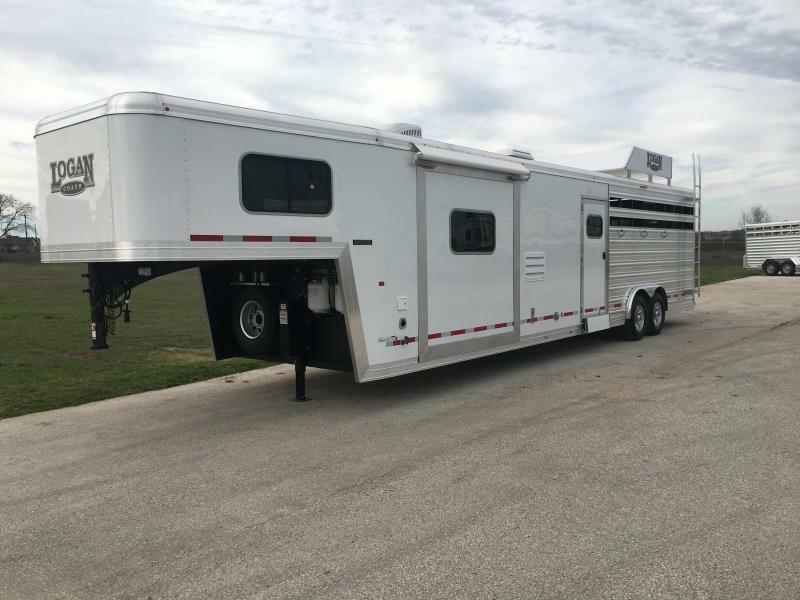 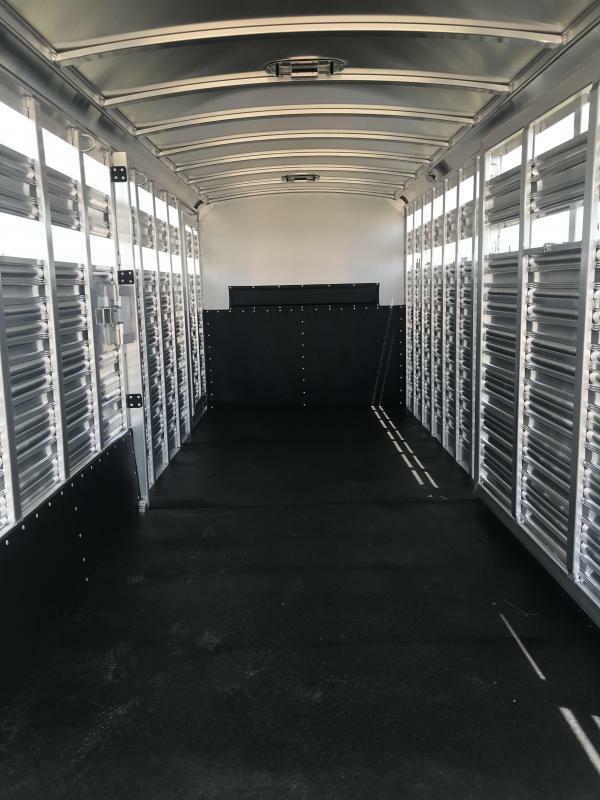 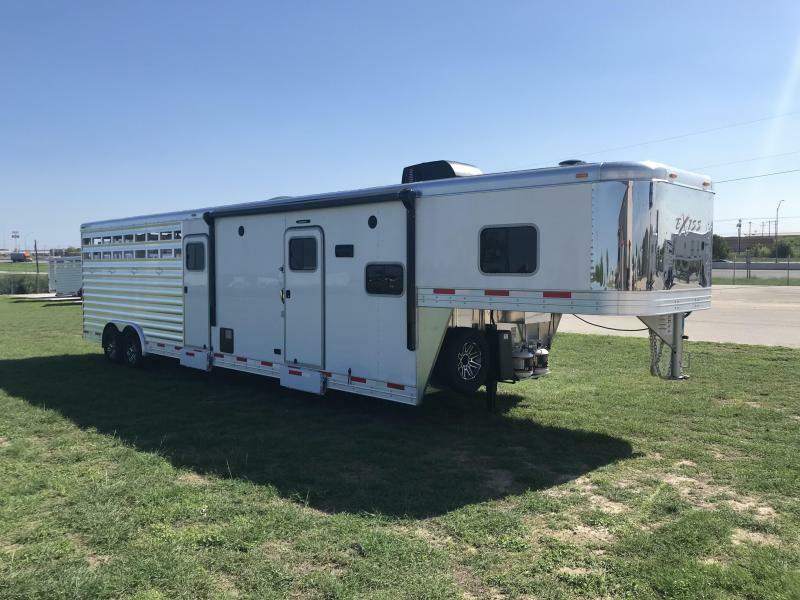 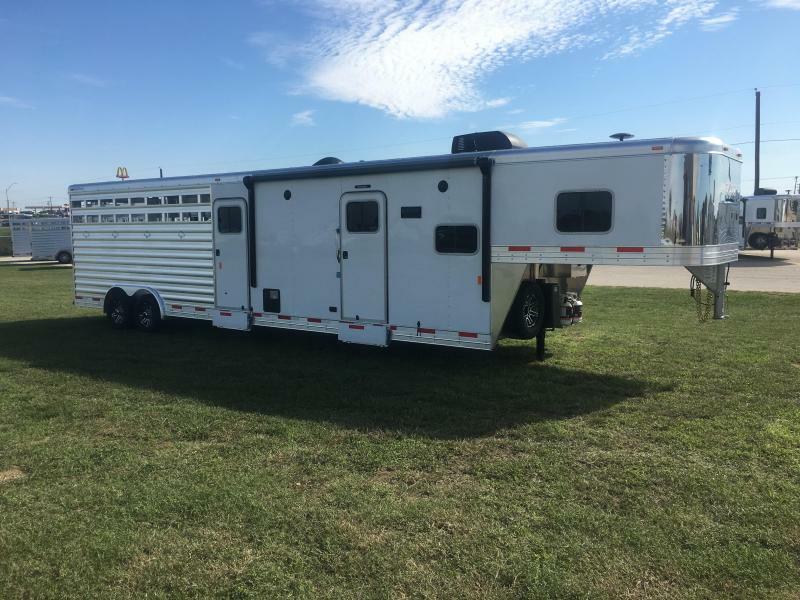 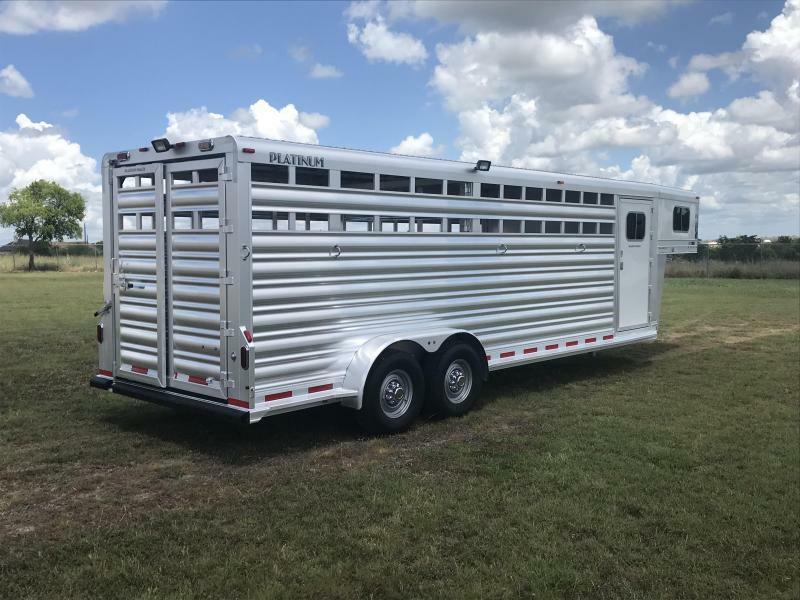 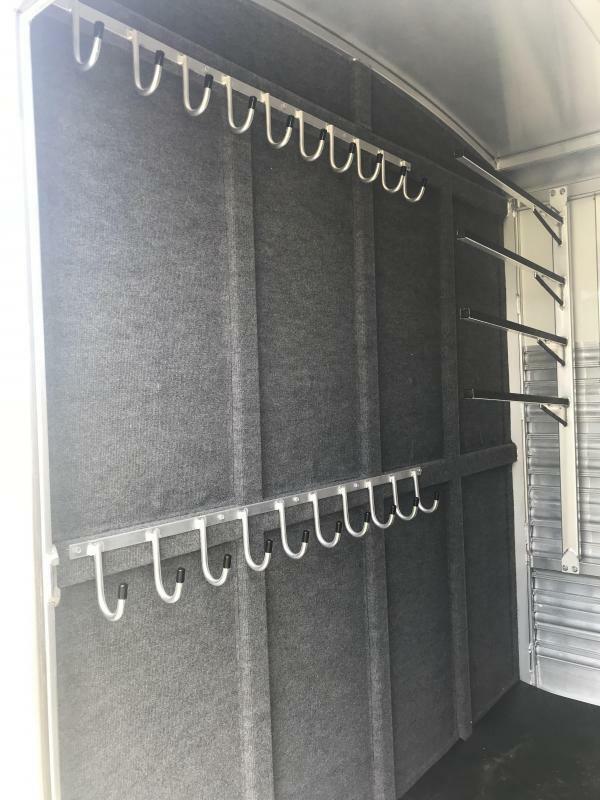 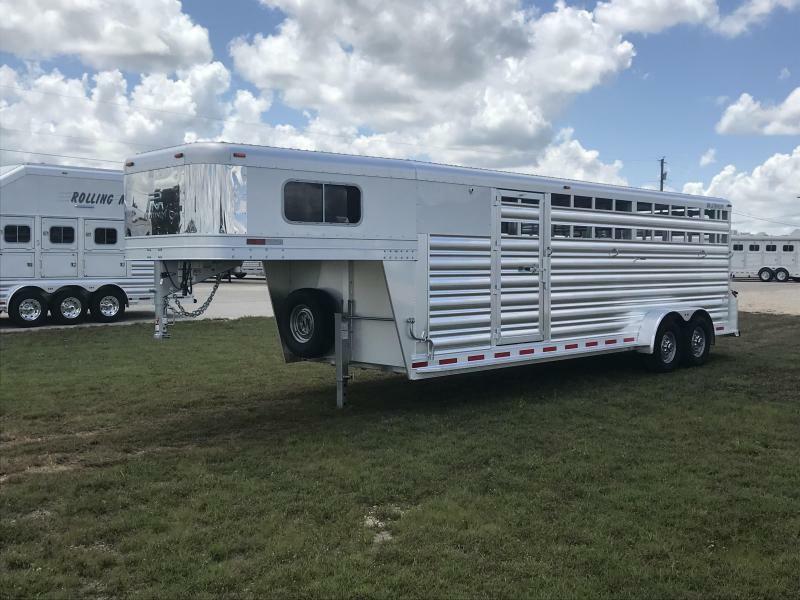 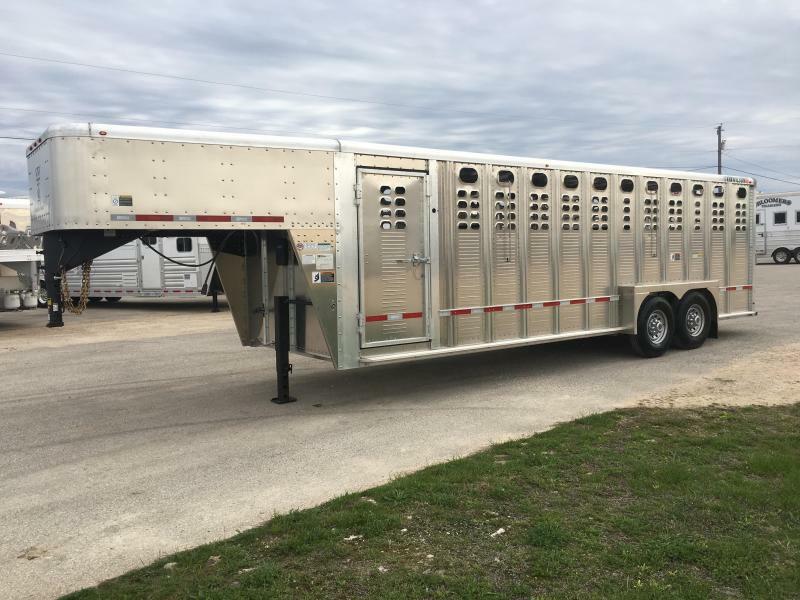 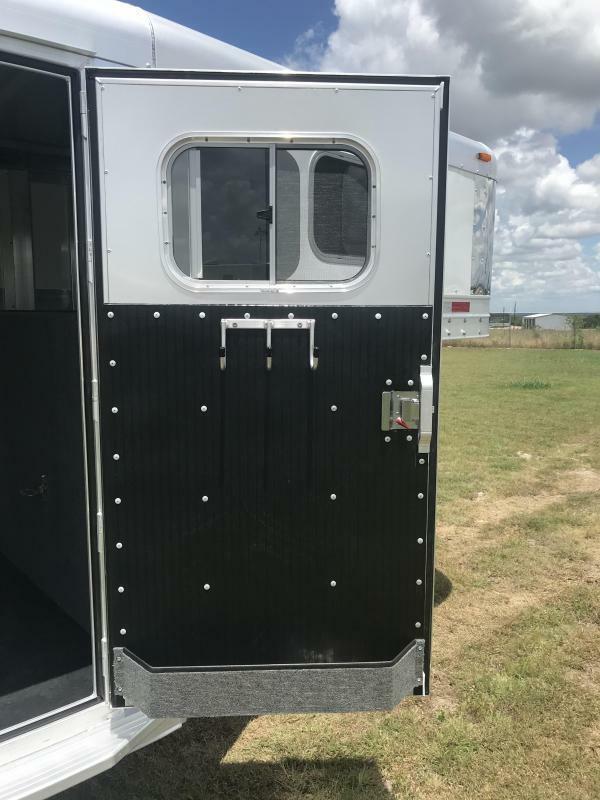 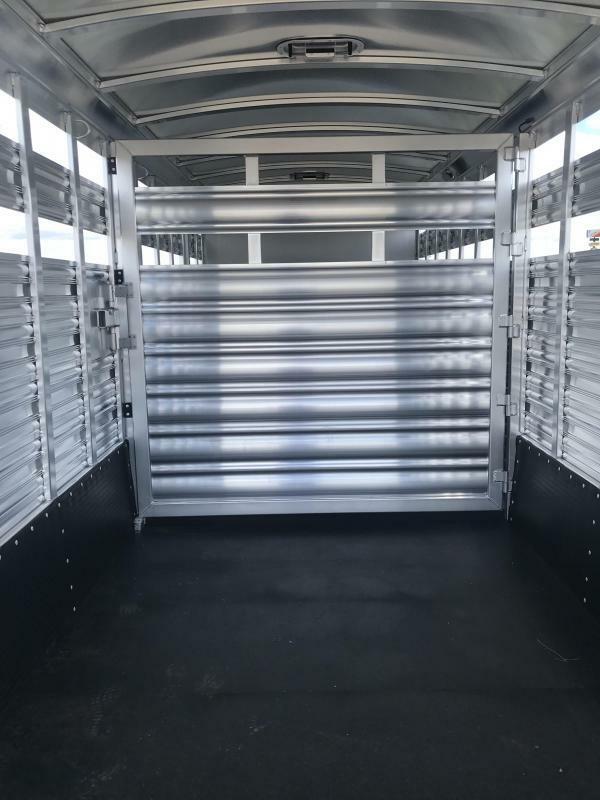 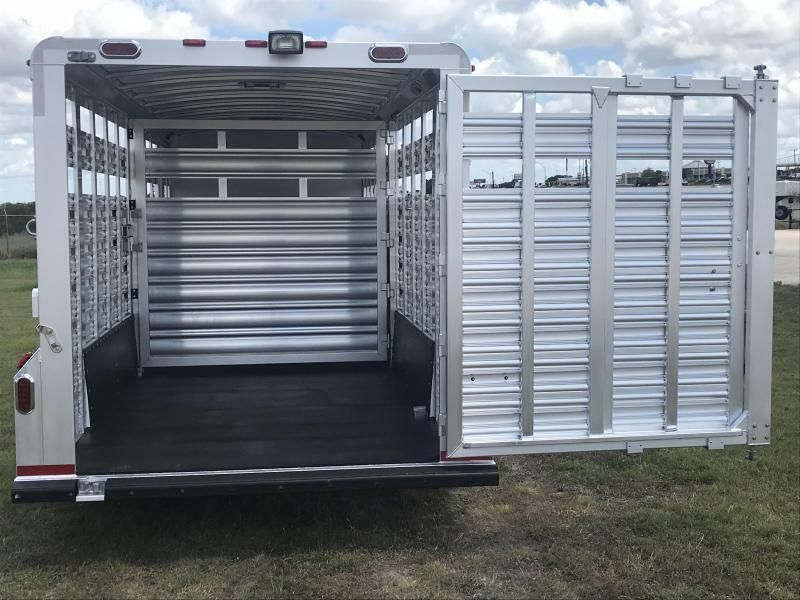 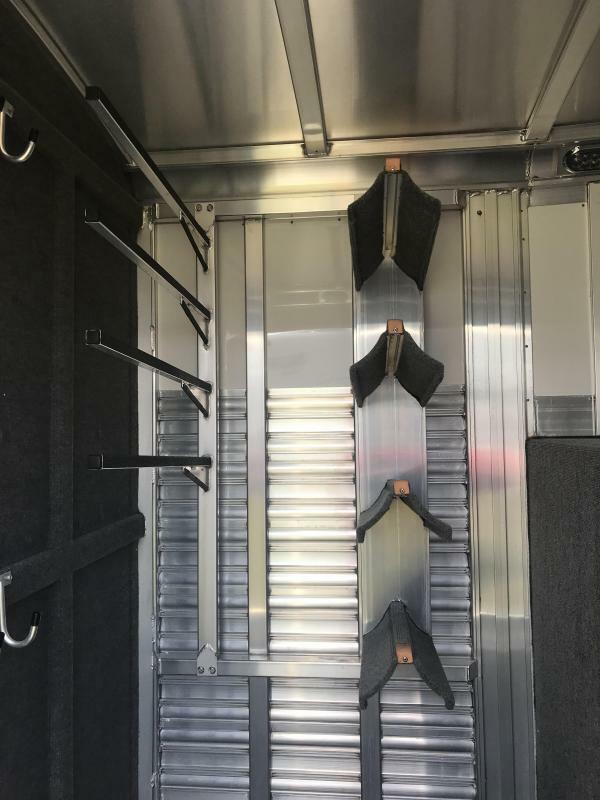 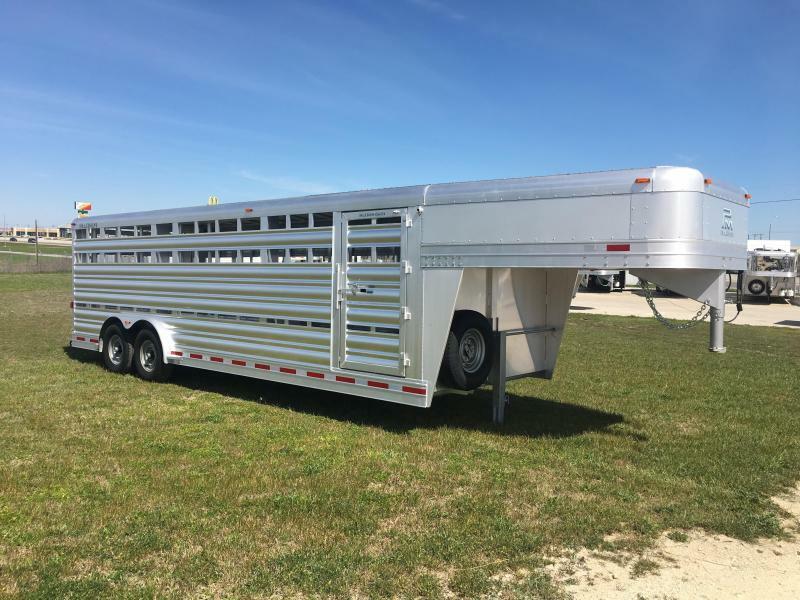 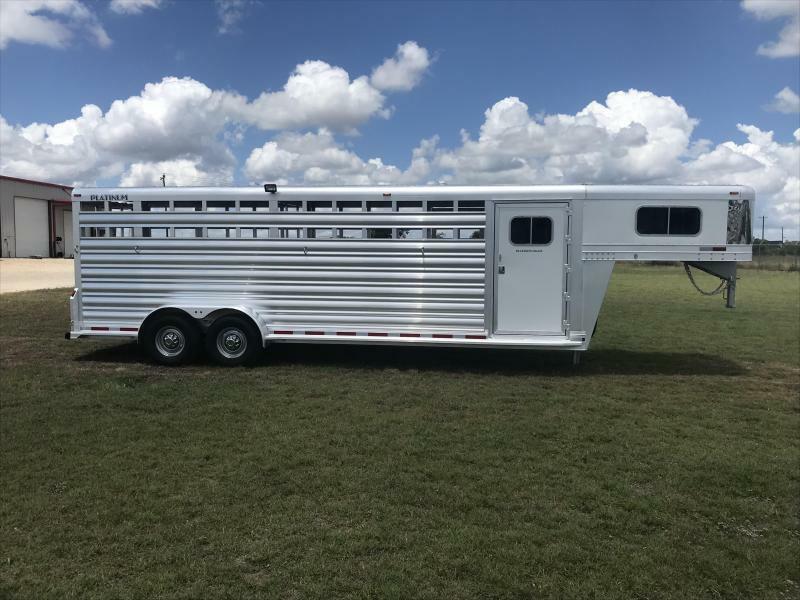 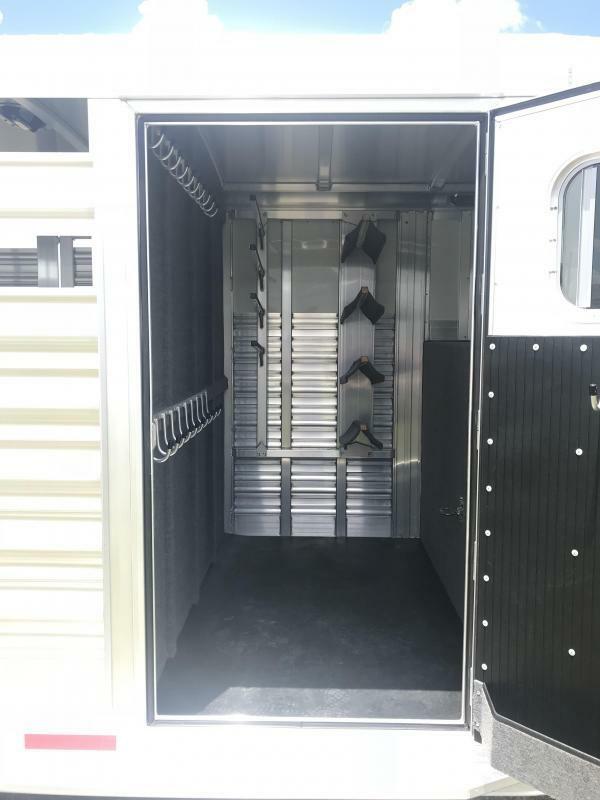 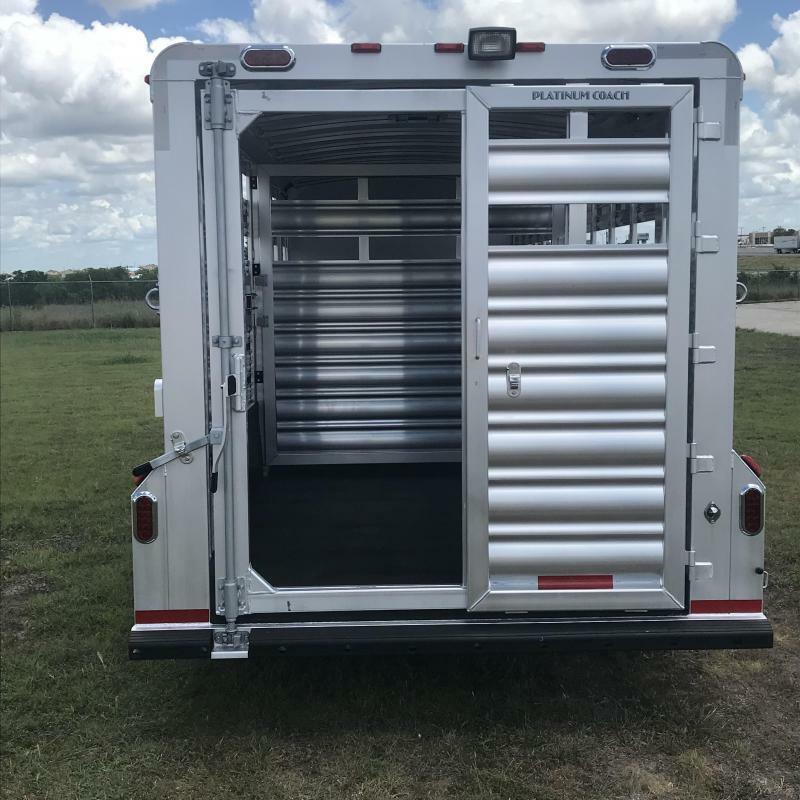 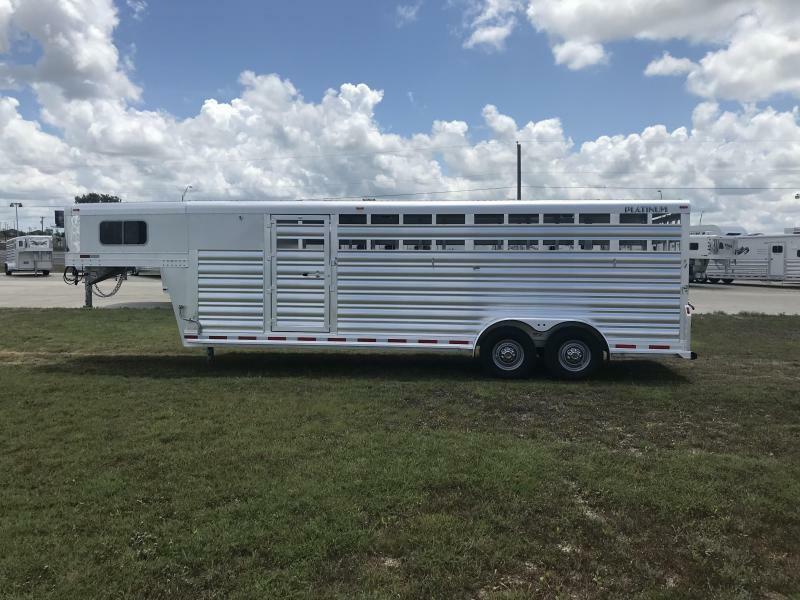 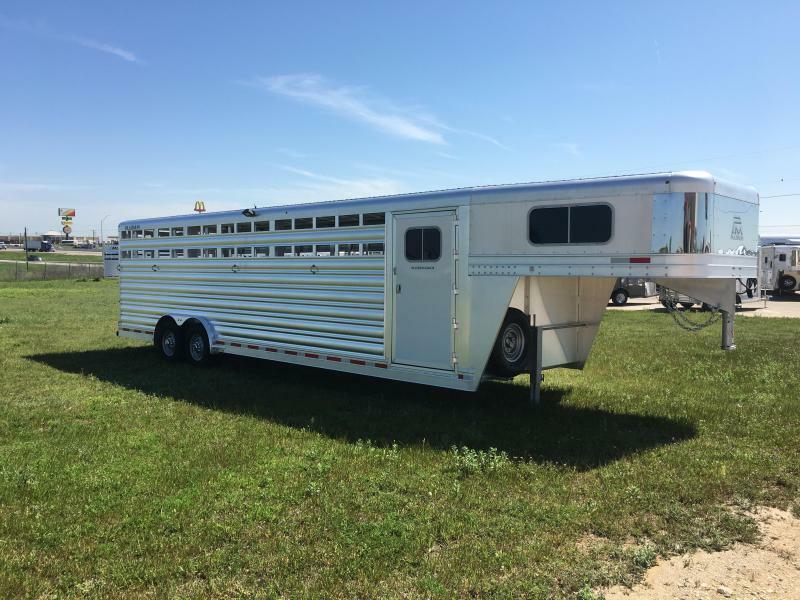 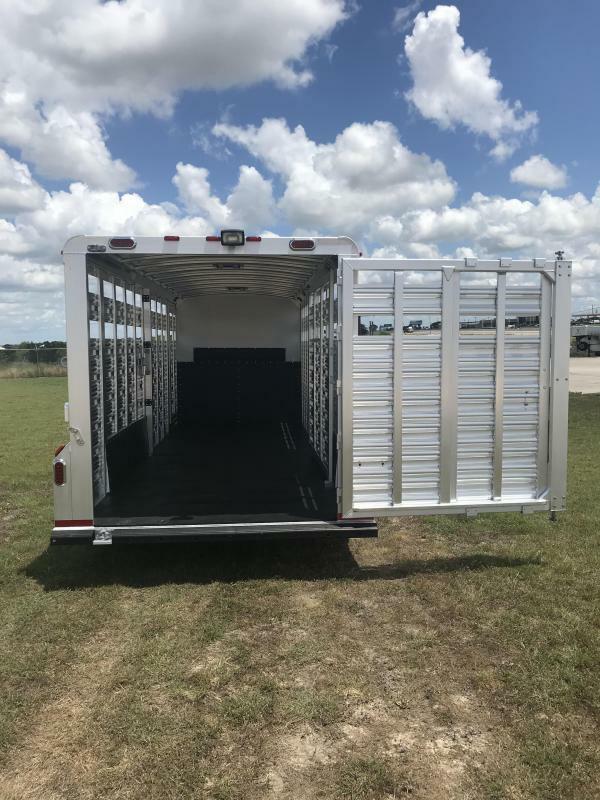 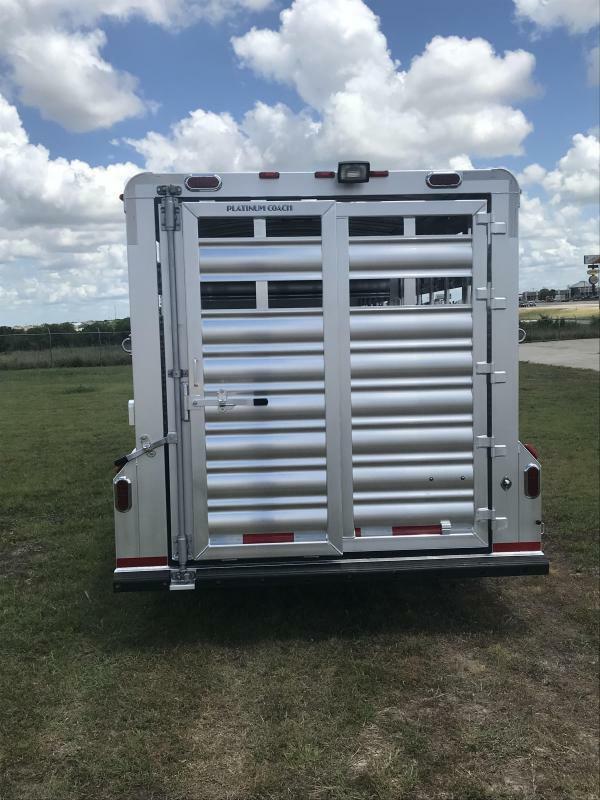 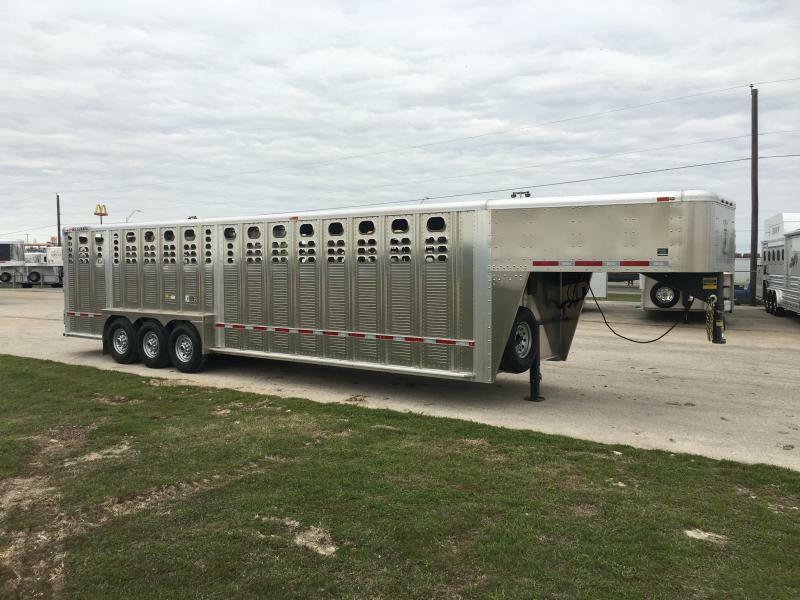 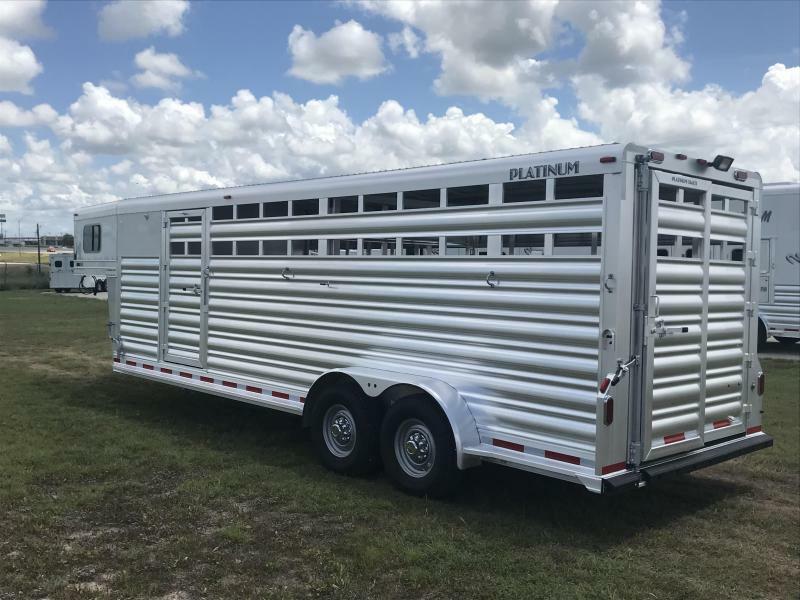 wheels, 7000# Axles, Full Width Rear Gate with Half Slider, Street Side Escape Door, 2 Interior Dome Lights in Stock Area, 2 Long LED Load Lights, 2 Roof Vents, 4 Saddle Rack, 4 Blanket Bars and 23 Bridle Hooks. 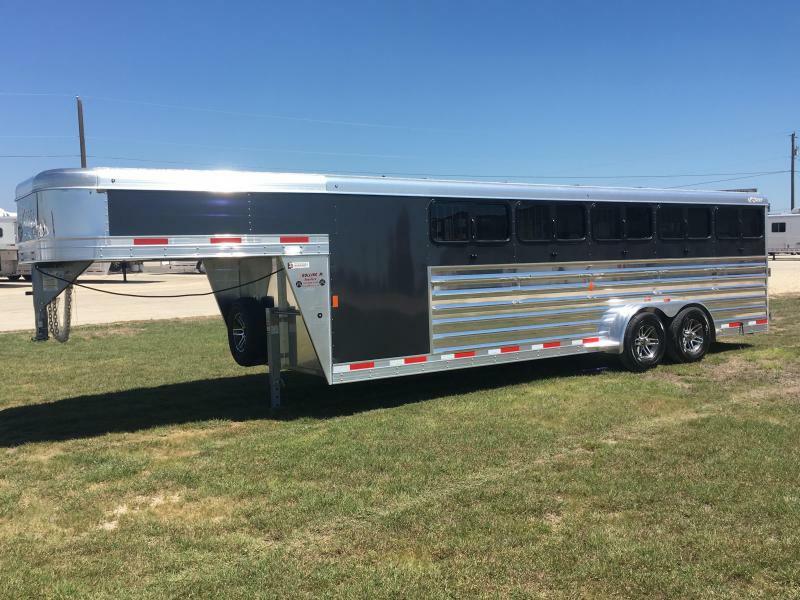 Call 1-512-746-2515 for more information!